What would happen if we went back to a barter system? You know, I’ll send out one of our service technicians if you change the oil in his van. Can you image how chaotic our world would become? I have to image that we’d quickly realize our true value in the marketplace as individuals. I further speculate that we would quickly notice how inferior we all are as individuals to cope with the harsh realities of the world. If you are a consequentialist, I’m sure you’ve arrived at the consequences of being humbled by how inferior we all are to cope with everything the world throws at us. 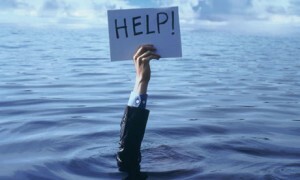 We have a real need to seek and get help from others for EVERYTHING except the things we ourselves are true experts in. I challenge you to go one day without the help of anyone else. How would you eat? How would you fill your car with gas? How would you cope in the working environment? You simply couldn’t. We rely on each other to survive. With the global marketplace being in place, it has changed the standards – all forms of help are now being set and elevated at an alarming rate. The force causing the rapid innovation, and the effect of higher standards being set, is the laws of probability. With the global marketplace having nearly 7 billion people transacting it insures that someone in every product, service, career and job is raising the bar on a minute-by-minute basis, 24/7. Then, with the internet, new standards are brought forth to the masses in real-time and constantly. In other words, the new standards go viral. Now that I have you completely freaked out… The good news is many people disagree with me or are oblivious to the global marketplace phenomena. These people have then only seen the symptoms but have not yet considered the causes of the symptoms. If you think that my interpretation is true, and you’re a consequentialist, you will have to take on obligations to keep up with the ever changing marketplace. This means you will have to commit to being a life-long learner in order to live a great life. Doing this will allow you to ride the wave of the marketplace changes rather than being crushed by a tidal wave of new standards being set that you cannot meet let alone exceed in order to satisfy your customers. Moral of the story – be a knowledge worker by learning something every day that is important, useful and worthwhile to your roles in life to avoid suffering from becoming obsolete and irrelevant to the communities we all belong.